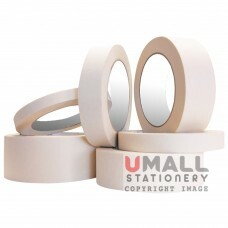 APOLLO MASKING TAPE -12MM (red wording) Packing: 24 pcs/pack ..
APOLLO MASKING TAPE -18MM (red wording) Packing: 16 pcs/pack ..
APOLLO MASKING TAPE -24MM (red wording) Packing: 12 pcs/pack ..
APOLLO MASKING TAPE -36MM (red wording) Packing: 8 pcs/pack ..
APOLLO MASKING TAPE -48MM (red wording) Packing: 6 pcs/pack ..
APOLLO MASKING TAPE -36MM (green wording) Packing: 8 pcs/pack ..
APOLLO MASKING TAPE -48MM (green wording) Packing: 6 pcs/pack ..
APOLLO MASKING TAPE -60MM (green wording) Packing: 5 pcs/pack ..
APOLLO MASKING TAPE -72MM (green wording) Packing: 4 pcs/pack ..
APOLLO CLOTH TAPE - 24mm Color: Black, Blue, Red, Silver, Beige, Yellow & Green. (can mix col..
APOLLO CLOTH TAPE - 36mm Color: Black, Blue, Red, Silver, Beige, Yellow & Green. 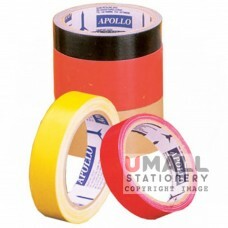 (can mix col..
APOLLO CLOTH TAPE - 48mm Color: Black, Blue, Red, Silver, Beige, Yellow & Green. (can mix col..